Come by and check us out. Who wouldn+GGt want to live in an area with the moniker +G+Golden Hills,+G- if that doesn+GGt scream +G+come live here,+G- we don+GGt know what will. 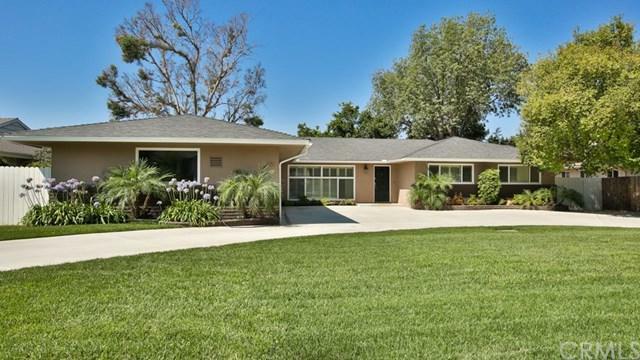 If you are not sold on the name alone, no worries, there is more that might fit the bill like the location, location, location, which has convenient and easy access to Hillcrest Park, Fullerton Museum Center, St. Jude and the Fullerton Loop Trail. Also nearby is Downtown Fullerton and the Fullerton Market which plays host to kids+GG activities, an outdoor beer garden , produce vendors and live entertainment.When you are not out exploring all Fullerton has to offer, be welcomed home by this a newly renovated four bedroom and three and a half bath home. There is a suite with its own entrance and living area. The home has wooden plantation shutters, newer A/C and heating system, indoor washer and dryer hook up. The kitchen has new quartz countertops and tile backsplash and a brand new center island makes great use of the space.Outside is a semi-circular drive with two driveways, a two car finished garage and an easy to maintain backyard. The terraced area is perfect for any aspiring vintner to plant grape vines. The only reason we could find that you would not absolutely fall in love with this property is the fact that the master bathroom is a little funky. But, fear not! The owner has agreed to a $15,000 credit so that the bathroom can be redone to the Buyer+GGs taste. Sold by Sharon Yoon of The Realestate Group. Listing provided courtesy of James Martindale of Martindale Commercial R.E.